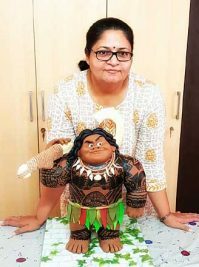 Hyderabad: A 40-acre plot of land, which almost was rendered a garbage site in the heart of bustling Cyberabad, is fast getting transformed into a sylvan setting with tall trees and chirping of birds. And coming up in this wooded setting is an exclusive track that offers three kilometres of pedalling for cycling enthusiasts along with adequate space for fitness freaks. 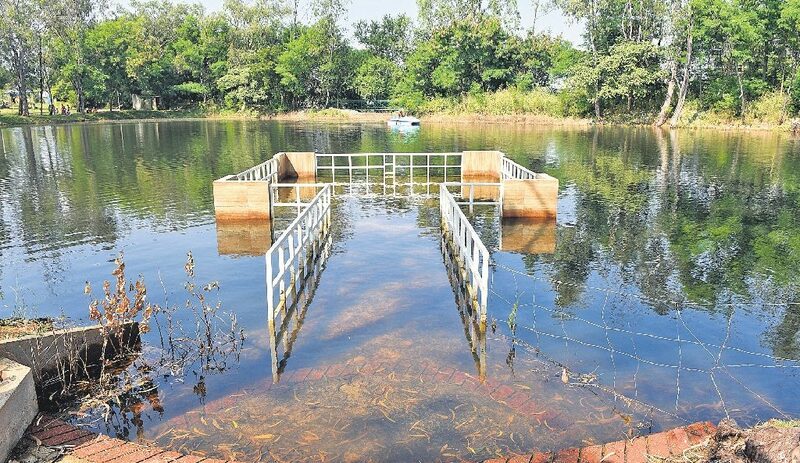 Taken up by the Telangana Forest Development Corporation (TFDC), work is moving at a brisk pace for the Paalapitta Cycling Park at the Botanical Garden in Kothaguda Reserve Forest with officials hoping to throw open facility for cyclists and techies from the IT corridor by the third week of November. 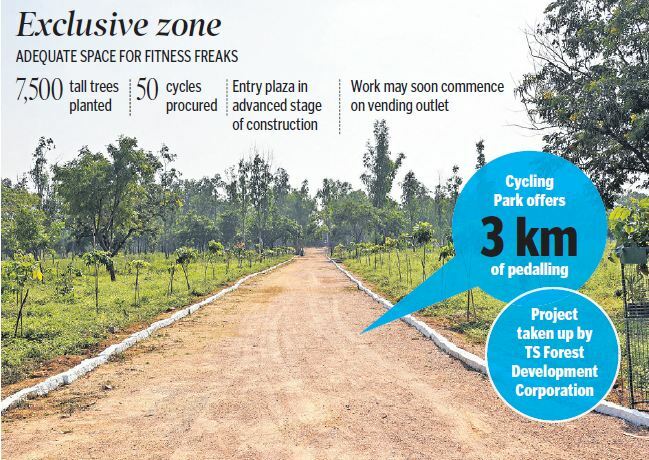 The cycling track winding along the periphery wall of the park is almost ready and the TFDC has already planted 7,500 tall trees across the earmarked area. To start with, 50 cycles are being procured to be made available at the park on rental basis. “These cycles will be offered on a rental of Rs 50 for using on the track and for those coming with their own cycles, we plan to charge Rs 25,” TFDC Managing Director Chandan Mitra said. On the cards are monthly and annual cards also for those wishing to use the facility. 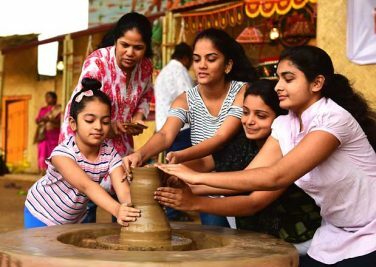 The new park area also has a water body and with fruit-bearing trees of 40 different varieties planted, it has already started to attract birds. “There are a few peacocks too in the park and lucky cyclists could end up crossing paths with them,” said an official. There has been huge demand for cycling tracks, particularly in the IT corridor of the city, but some tracks developed in recent times skirt the regular road spaces which have heavy vehicular traffic. Officials pointed out that the park provides an exclusive zone for cyclists where they do not end up vying for space with speeding vehicles. An entry plaza is also in an advanced stage of construction while work is expected to soon commence on a vending outlet offering energy drinks, tea and snacks for the cyclists. “We are also looking at the possibility of putting forest produce for sale at this outlet,” said Mitra.